Rotech Technical Services, headquartered in Aruba, serves the electrical needs of clients throughout the Caribbean. 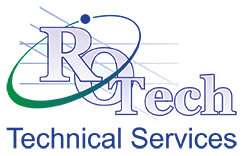 Rotech was established in 2006 in order to play a strategic role in meeting a variety of client electrical engineering needs. In the beginning, our focus was solely on electrical system design and installation, but as the company grew, so did the scope of services we offer. In a relatively short period of time, Rotech has grown its staff to nearly 50 employees, including many well-trained technical experts and electrical engineers with the education and experience needed to provide a superior level of service to clients. As our reputation grew in Aruba, Rotech began expanding internationally to meet the growing demand for our services throughout the Caribbean and more recently into South America. We partner with the very best international brand-name suppliers of quality products and systems to provide clients with solutions that will keep working for them for many years to come. We are deeply committed to collaborating with clients to meet each project’s unique needs and requirements with careful attention to detail and world-class customer service. 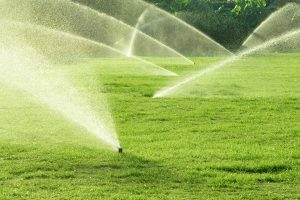 The expertise of our highly-trained technicians is complemented with all the best materials, tools and equipment they need to get the job done right. We begin by hiring technicians who have the proper education, training and certifications needed to excel in meeting client needs, and the company itself is always seeking to improve its expertise. We are deeply committed to meeting client needs within budgets that will work for both you and us, and we think you’ll find our services are priced very competitively relative to other companies. We stand behind our work. If any problems arise related to the quality of the services we provided, we’ll work with you to make it right. That’s our commitment to you, the client. Because we hire the best technicians available, the combined experience of our staff is the equivalent of many decades of finely-honed electrical expertise. We believe in a collaborative work process with clients that includes understanding the needs and requirements of each project, and communication throughout the process to keep everyone on the same page.